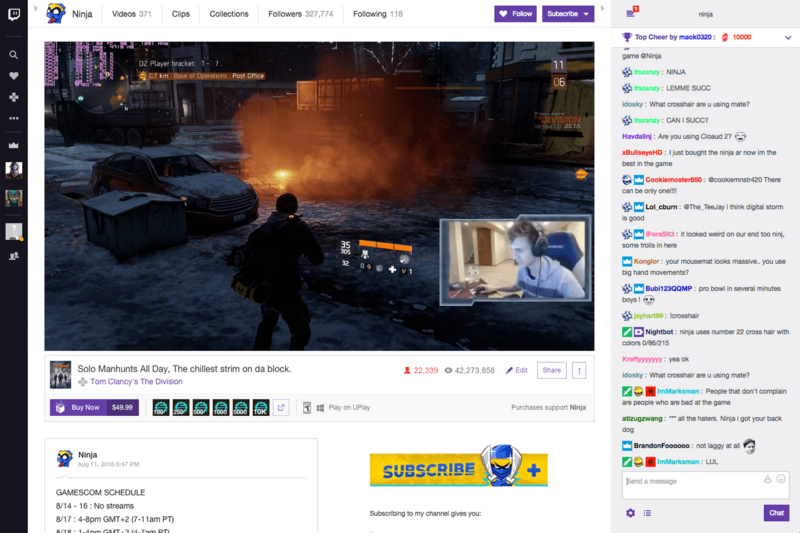 Twitch, the popular live streaming platform owned by Amazon is taking a page from its parent company by launching its own game store. The service now allows users to purchase a variety of different titles while watching related streams on its website or the newly launched desktop app. There are around 50 titles available at launch including Firewatch, Broken Age, For Honor, and Ghost Recon: Wildlands. Interestingly, Twitch’s commission structure brings partnered streamers into the mix, giving them 5% of sales originating through their channels while the game’s creators get 70%. This adds a new revenue opportunity for streamers also get ad and subscription revenue and can get tips from fans. Developers can also use the service to award fans with special offers for watching streams at certain times, and for every purchase over $4.99, users will receive a virtual Twitch Crate filled with Twitch tools — like emotes, chat badges and Bits for Cheering. Games bought through Twitch can be downloaded and played through the Twitch desktop app, bypassing Valve’s market leading Steam platform. Alternatively users can load games through existing publisher specific game launchers like Ubisoft’s Uplay. Currently the Twitch store only offers English language versions of games, in US dollars, but the company says it will offer localized options in the near future.